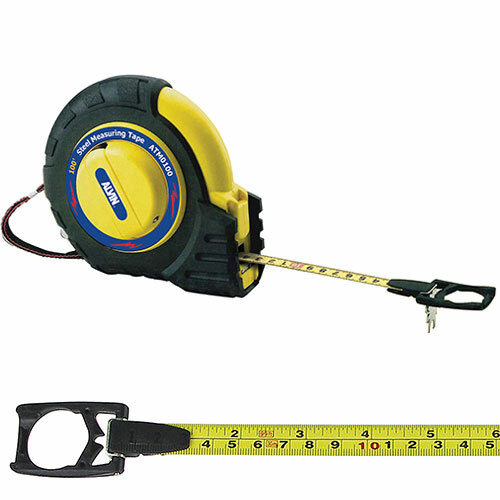 Unique style long tape measure in a yellow plastic housing with black rubber for easy grip. A ½” steel yellow tape in both inch and metric measurements with 1/16 graduations. Speedy rewind with magnetic end and molded hook for easy measuring when alone. Each tape measure comes with a wristband and an accessory belt loop attachment for easy carrying and easy release from the belt loop.